How Did My Sponge Become Sandy? 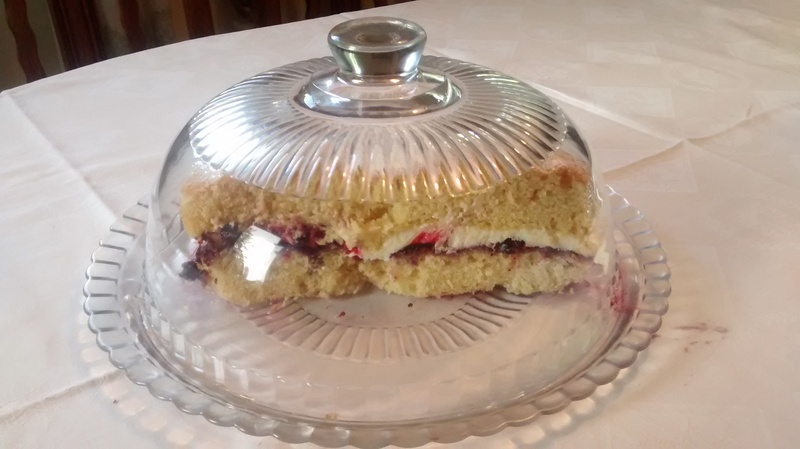 In Polish the word for a fat free sponge cake which is made with just eggs, sugar and flour is biszkopt. 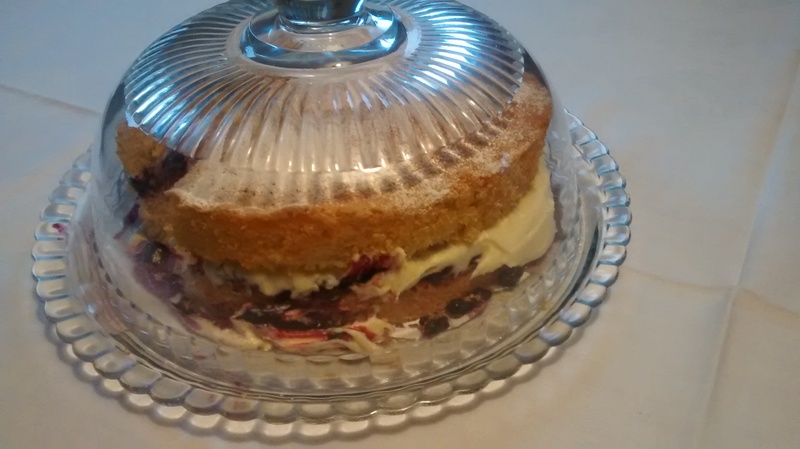 A sponge cake which uses butter or margarine which is creamed with the sugar is described as piaskowy – this adjective means sandy – hence the title of this post! I have not managed to find an explanation as to why it is so described but have found this term in all my Polish cookery books. This is a recipe which I learnt from my mother’s friend who we knew as pani Stasia*. 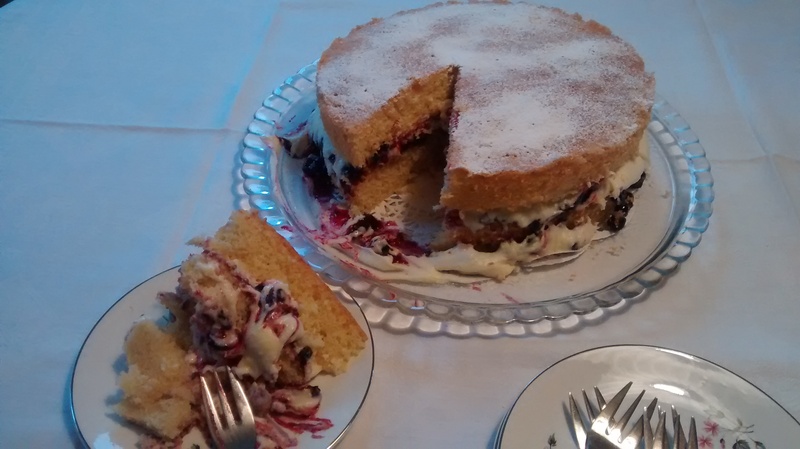 Pani Stasia made wonderful cakes but unfortunately I did not write many of them down – however I did for this one and it is the basis for many of my other cakes and buns. 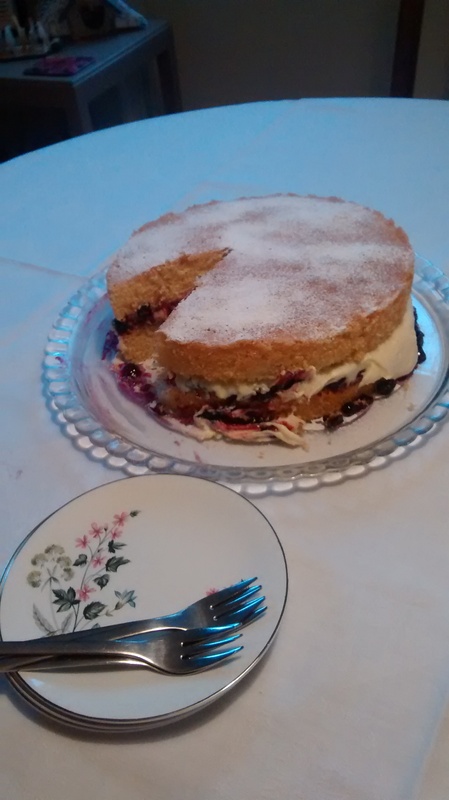 This recipe is equivalent to the British cake – Victoria Sponge – named after Queen Victoria in whose reign this became popular & who is said to have liked this cake very much. Having been looking at recipes in my Polish cookery cooks I realise that pani Stasia adapted this recipe for England as self raising flour and caster sugar are not found in Polish shops. (*Pani translates as Madam, Lady or Mrs and is a polite form of address – it is like donna in Italian or for example saying Miss Mary in the Southern States of America. St Stanisław is the patron saint of Kraków & Poland, he was a martyr, murdered by the Polish king Bolesław II the Bold in 1079 – a story which has much in common with St Thomas à Beckett and the English king Henry II in 1170). 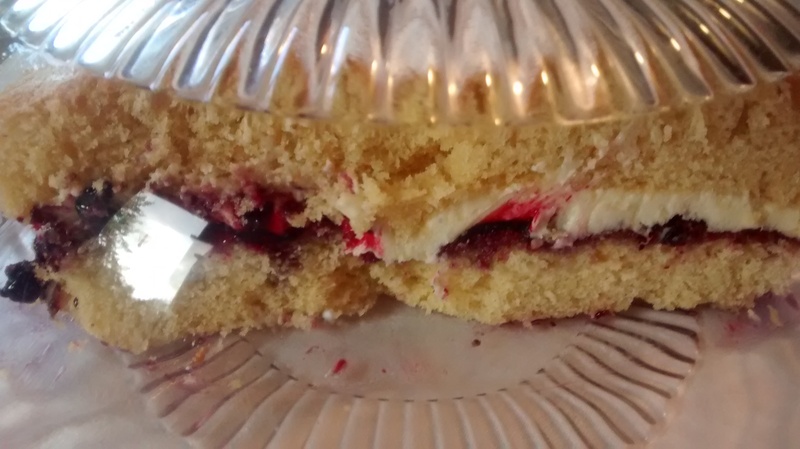 I usually use 3 or 4 eggs for this recipe – in the photographs below I have used 4 eggs to make 2 cakes which were then sandwiched together with jam and white chocolate butter cream. The first thing you have to do is weigh your eggs – complete with their shells. You then weigh out the same amount of butter or block margarine, caster sugar and self raising flour. 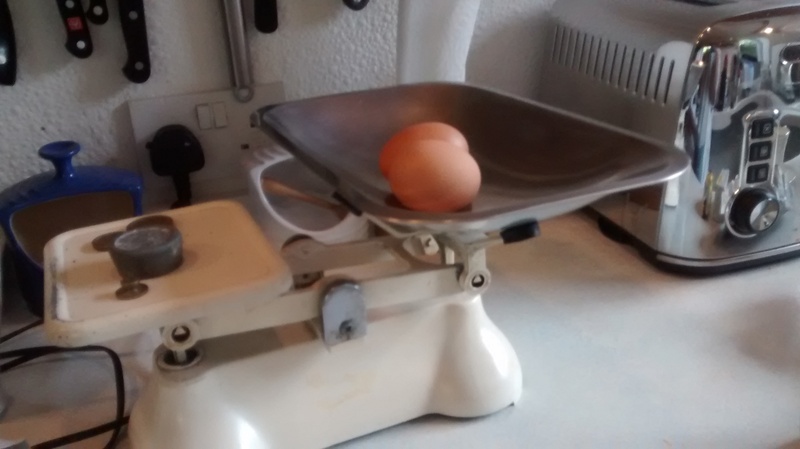 At first I thought this was very strange but now find that it gives a very good way of getting the right proportions no matter what size the eggs are. I heard the late Marguerite Patten in an earlier recorded programme on the radio a few weeks ago saying that Victorian cooks often used this method. Add the eggs, one by one whisking again until the the mixture is light and fluffy again. Fold in the flour with a metal spoon taking not to over mix the mixture and knock out all the air. Divide the mixture evenly between the 2 prepared tins. Bake in the centre of the oven for around 25 to 30 minutes – the cake should be golden brown and be clean when a cake tester is used. 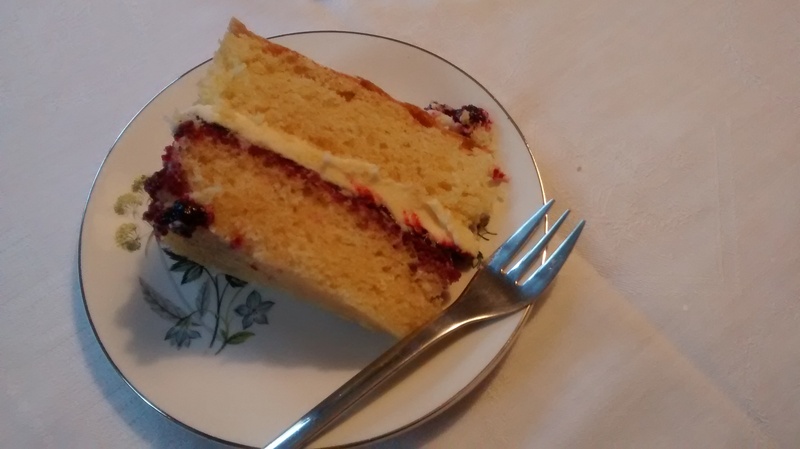 This cake is very versatile and here I have sandwiched it together with blackcurrant jam (given to me by my friend who had made it with fruit from her allotment) and white chocolate butter cream. 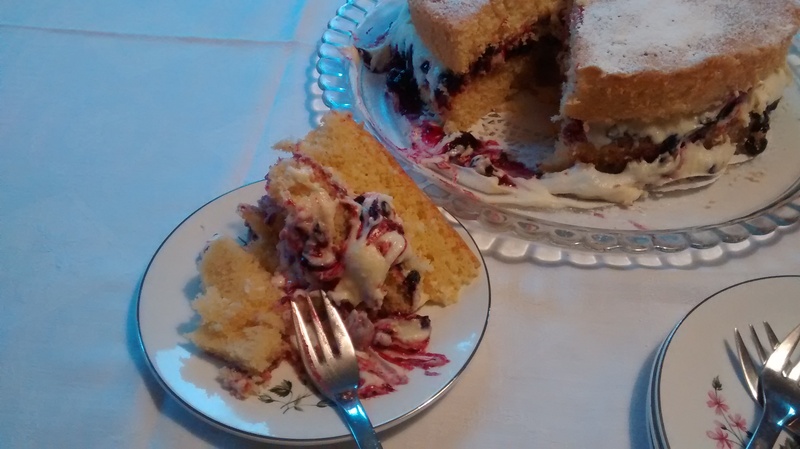 Sweet whipped cream is not found in Polish cookery – butter creams and similar are the standard fillings for layer cakes. On the bottom cake first spread on the jam and then top this with the butter cream. This butter cream is sweet and needs the contrast of a tart jam, damson jam would be another alternative. Melt the white chocolate in a glass bowl over a pan of hot water and allow to cool. Cream the butter and the icing sugar. Beat in the cooled, melted chocolate. Take care – if the melted chocolate is too hot then you will end up having to add more icing sugar and the butter cream will be very sweet. 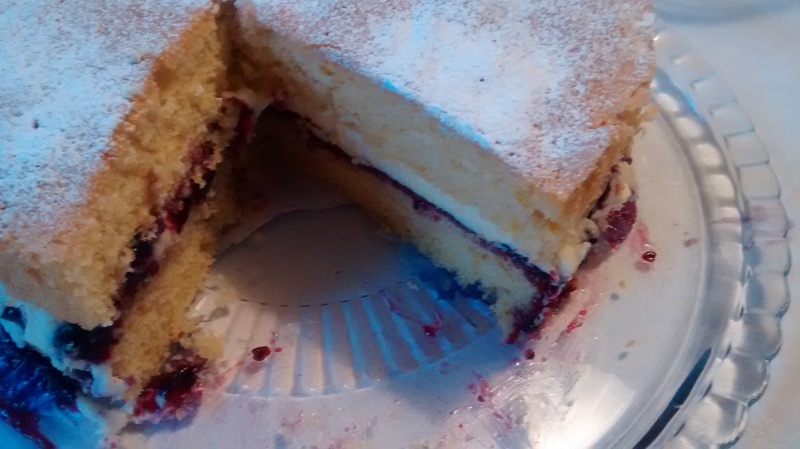 Dust the finished cake with icing sugar.